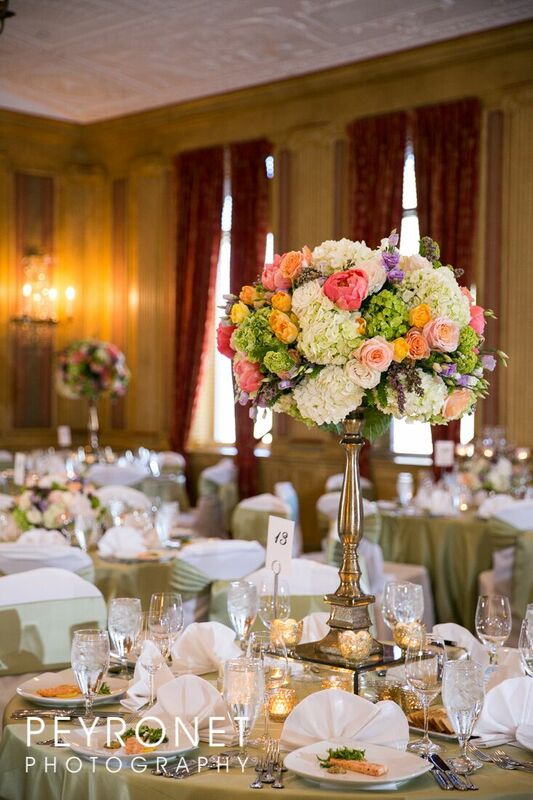 The Fort Worth Club has an elegant and historic feel as soon as you walk into any one of our rooms. 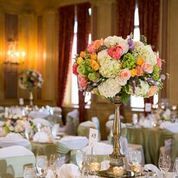 One of the great advantages about having your special day here is that you can make any vision come to life by adding simple yet colorful floral centerpieces and arrangements. 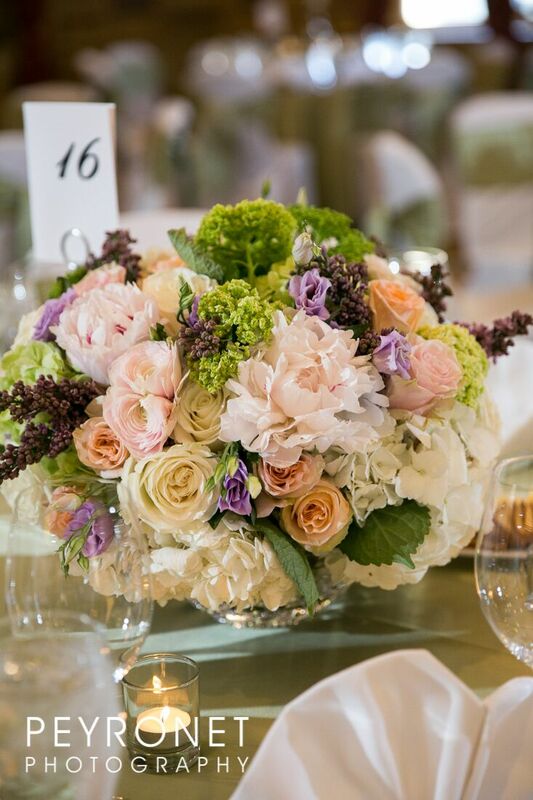 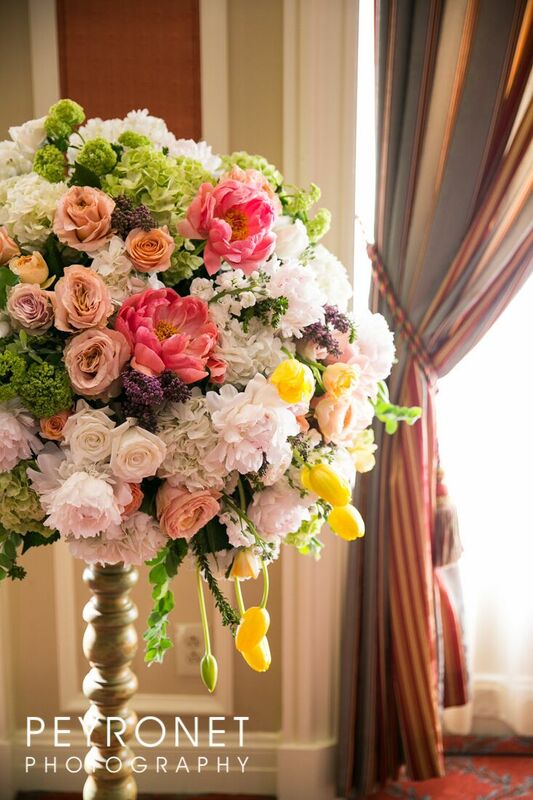 A sophisticated summer wedding calls for a variety of beautiful flowers! 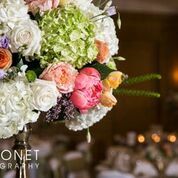 Even if you don’t have a particular color scheme for your big day, you can still optimize your centerpieces by selecting an assortment of different types of flowers and color tones. 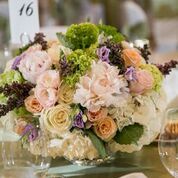 Vibrant floral go well with any of our lamour linens, but especially our Kiwi lamour, which gives the room a more garden-like feel.